I love geek toys. I've bought Palm's, Treo's, Window Mobile devices, Nec Mobile Pro's, Bluetooth headsets, Philip Pronto remotes you name it I've bought it and tried it. I've looked at the Sony UX devices a few times (still not quite convinced and am waiting out for a faster generation of hardware) . However when someone sent me a link for this device, even though I dont drive a car here in New York I seriously considered it for longer than I should have. 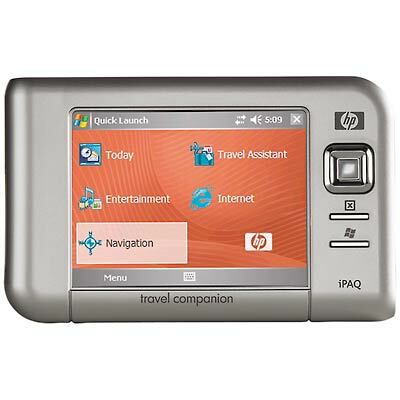 HP Ipaq rx5915 is a neat device, primarily for GPS driving directions to navigate around town in your car. However there is a whole heap of other functionality in there. 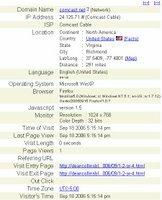 Disconnect the unit from the car mounting bracket and walk into your local wifi hotspot and you can browse the web via the IE Mobile 5.0 browser, use it to check email etc. although it doesn't actually explain how you type (I assume it's and onscreen keyboard). If you are out of range of a wifi access point it can also connect via bluetooth to your mobile phone to connect to the web via the phones gprs data service. It's supposed to play MP3's as well but without checking it out in person I'm not sure how realistic this is as an in car MP3 deck as the size is limited to SD cards. Watches have always done a good job of quickly showing the time and date. But Fossil Inc. is convinced there's another piece of information worth displaying on the wrist: caller ID. In a partnership with Sony Ericsson, Fossil on Thursday announced a new line of timepieces that will show who's calling on your cell phone. The main advantage is that the system lets users quickly and discreetly know who is calling, without having to dig their phone out of their pocket or purse, said Bill Geiser, Fossil's vice president of watch technology. Great concept, but I hope they come out with this bluetooth concept across a number of models as the one they have launched is as ugly as sin but A+ for the idea. I don’t know what it is today, maybe because so many cool things are going right for me at the moment, (top secret until October 24th but I'm working on a project that absolutely rocks), maybe just because it's autumn in NY, the air is fresh and crisp and the skies are extra blue but “Life is Good”. Listening to Nina Hagen on my pc this morning (press the Flash MP3 player in the bottom right panel) and just bopping my head away like crazy. If anyone needs a favour from me today is the day to ask because I don’t think I could say no to anything today. Hope every one in the world feels the same. ha ha ha ha ha - man this guy makes me laugh, the USA worried about protectionism - what a joke. On the eve of his first official visit to China, U.S. Treasury Secretary Henry Paulson said Monday that he is worried about protectionist sentiment there and in other countries. How about the Cotton subsidies Mr Paulson? How about the Ethanol subsidies Mr Paulson? Man what a joke, it's a funny situation that the USA find themselves in, they know it, the EU knows it, we all know it, Americans are living far beyond their means. There is going to come an economic resolution to this event that will result in someone catching a cold, the question most people are concerned about is whether the rest of the world will get the sniffles or if it's going to be a full on contagion. Either way, save your pennies, dont be too highly leveraged, go long on bonds and laugh when you see the pot calling the kettle black. Hey all, just noticed the 5000th visitor to this blog just happened today. I've often been curious if any of this information is of interest to people. Over the past few months I've tried to post about Life in NY, projects i'm working on, things I read online that I think are funny (or need attention drawn to it). My only wish is that more people visited the archives as there are a ton of posts in there with some cool links. My other wish is that people commented on the posts more often, apart from 1 or 2 who have contacted me directly there have been few direct comments, although there must be some interesting content as there is an average of 725 people visiting a month. Well thanks for all the traffic, hope I added some value along the way, look forward to hearing more often from you in the future. Do I really need quad core cpu's? probably not. Do I want quad core cpu's? ooooohhhhh yehhhhh baby. I know this isn't going to come as a surprise to those of you who have visited my home office (no that isn't a wine cooler-yes it really is a commercial 19" rack full of yuminess) but I'm an IT freak. I hate working from clients offices because everything is faster and so much more efficient from my home setup. Needless to say the only reason I haven't considered upgrading from my demigod Abit IC7-Max3's to a Duo Core motherboard is that I'm waiting for the quad core boards to arrive. Are there any limits to the performance frenzy? Even expert opinions are deeply divided, ranging from "more cores are absolutely necessary" to "why do I need something more than my five-year-old PC system?" Although the Core 2 quad-core processors are not expected to hit retail channels before October, Tom's Hardware Guide had the opportunity to examine several Core 2 Quadro models in the test labs. We would like to make it clear that these samples were not provided by Intel. Peter Dicks Chairman of Sportingbet PLC is arrested at JFK!! I dont know how to effectively express my outrage over this action by the US government. 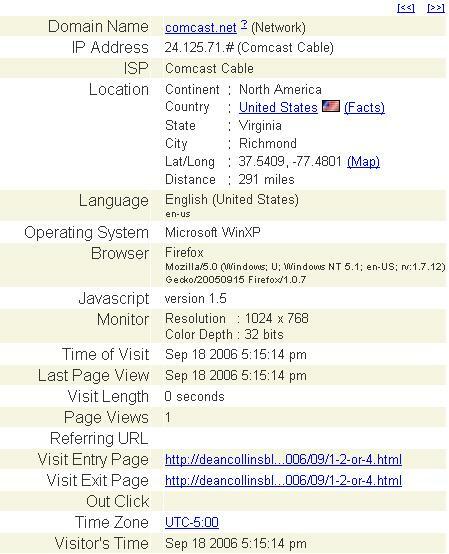 So basically we have a UK citizen, operating a UK business (sportingbetplc.com board) who the moment he steps foot into the USA is arrested, not for crimes he committed but for crimes committted by US citizens. Oh and arrested under ambiguous Louisiana law, that defines all interstate gaming as illegal. I cant wait for the chairman of the NY Times to be arrested on a visit to China because chinese citizens were reading copies of the NY Times on the internet. Oh and as for visiting 'unfriendly' countries, how about if Castro started shooting american tourists he found in Cuba for 'crimes of treason' in carrying US dollars in their wallets? This is insane America. When are you going to wake up and begin to be a good 'world citizen'? You cant just arrest people for 'crimes against the state' that dont even occur in your country........isn't that what terrorists do? Impose their will against the world at large. I keep hoping I will wake up and the insanity will end? it's like a bad dream. It's getting hard to tell who is the bad guys anymore. On April 2nd, 2009, Carruthers pleaded guilty to 1 charge of racketeering charges after being "under arrest" since July 2006. On Sunday July 16, 2006 Carruthers was arrested at Dallas-Fort Worth International Airport in Texas while changing planes. He was travelling with his wife, Carol, from the BETonSPORTS Annual General Meeting in the United Kingdom to his home in Costa Rica where the two lived since 2000. So basically after almost 3 years he flipped and turned states evidence so he could finally go home. Chris Flood, an attorney for Kaplan, said today his client maintains his innocence. Flood declined to talk about any discussions with the U.S. Attorney’s office. “I can’t comment publicly about matters that are supposed to be between myself, my client and the government,” Flood, a partner at Houston-based Flood & Flood, said by phone. I'm not turning my blog into a video blog however while playing around with the uploading of my YouTube video yesterday I came across this clip by Noah Kalina. This has to be one of the most compelling pieces of art I have seen in a long time. The url for Noah Kalina's website and the link to the music is at the end of the clip. If this clip moved you to tears, show your support, go and donate via paypal to his site (I also donated to the Carly's music site as well before downloading the music). Amazing dedication to his project, this is what real art is about. If this clip doesn't make you happy to be alive and human then nothing will. This is a video of a 'speed presentation' I gave at last nights NY-Tech Meetup for one of my clients I represent here in the USA. I know I was a little short with some of the people in the Q&A session but you only get 4 mins to present and 1 minute for Q&A and there were about 40 people with questions (we only got through about 10 of them). Also I appreciate video isn't great I'm going to try and use a diferent encoding tool, but it was shot on a digital still camera from the audience so it's really about the audio, let me know if anyone wants a copy of the ppt. www.Mexuar.com has just launched a server application called Corraleta, which will enables people visiting your website to talk to you using nothing more than their headsets. There is no client to download, no click per call fees, nothing is required apart from a server for the corraleta application to be installed onto. The main implementation for the Corraleta application is for people who run e-commerce websites that want to allow their consumers to 'call them' via the web. The most innovative part is that the call centre staff actually receive the calls on their normal telephones just like they would answering the calls from the carrier. Because the calls are ip to ip all the way from the consumers browser through to the call centre PABX the calls are free.